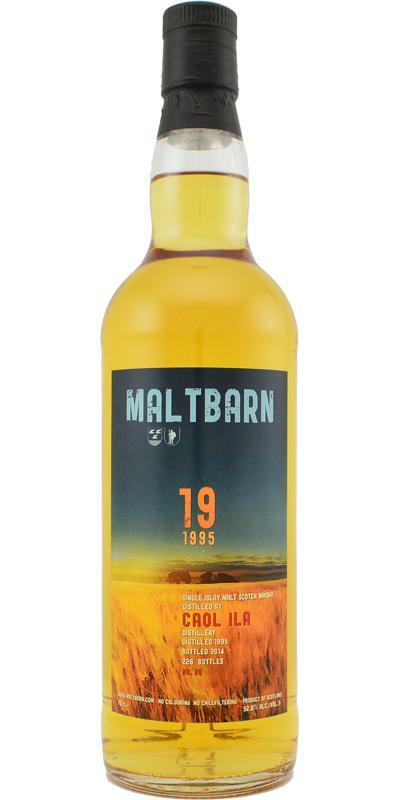 A caol was still well chosen by Maltbarn. All the markers of the distillery are present, the balance is almost perfect. Maybe a little too woody, even if it's not really disturbing. A Caol Ila in all its splendor. It is very fresh, well chopped, with nice citrus notes: lemon, lime, grapefruit. The fine peat brings notes of cold ashes, but also mint, eucalyptus. There is also a mineral side as well as a maritime side. Salty and iodized notes, seaweeds. It is also quite fruity, especially with apple, pear, vanilla. A rich nose, which oscillates between citrus, smoke, vegetable, fruit and maritime flavors. Very promising ! Smoke is more present than the nose, it is even the main component. The fruity side fades, leaving more room for citrus citrus notes. Fresh notes match perfectly with this acidity. You can distinguish anise, eucalyptus, all this intertwined with the sweetness of vanilla. It's very nice. Note all the same a small vegetal and woody side, rather dry in the second part of the mouth, quite present, but not too unpleasant. long, powerful and dry on lemon, salt, cold ashes and wood. 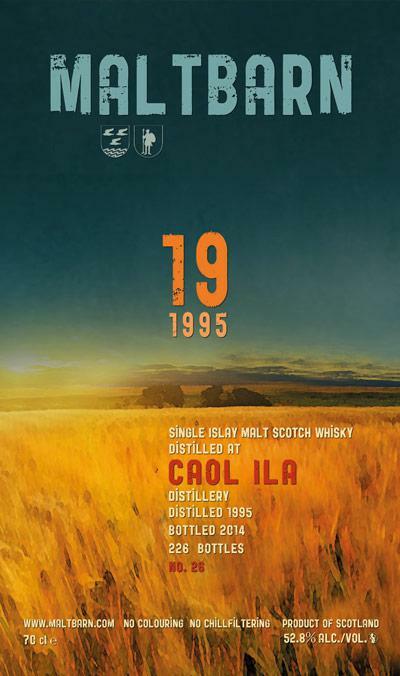 Caol Ila 1995/2014 (52.8%, Maltbarn, bourbon, 226 bottles) Colour: straw. Nose: it’s perhaps the freshest today, we even find notes of a meadow after the rain, certainly quite some fresh butter, and a rather delicate smoke that combines well with some green tea (wulong – Taiwanese – oh forget) and just an ‘idea’ of cigars. With water: bark and roots, walnut skins… it’s becoming grassy, in the noblest sense of the word. Mouth (neat): it’s the subtleness that’s impressive, many others are great but a little monodimensional. Not this one, and I especially like these touches of paraffin. Crunching a candle. Then green lemon and sharp herbs. Bites you a bit – ah, a fight, finally! With water: becomes wild! Grassy, bitterish, chlorophilly, green, tense… It fights back! Finish: long, grassy, sharp, not easy. The loveliest green teas. Comments: super-grassy CI, great variations… SGP:377 - 88 points. A very good and enjoyable Caol Ila. If I’d be nitpicking, then I’d say that it lacks a little bit of depth. Very clean and fresh with subtle peat and wood smoke. Some freshly cut apples, vanilla, banana and orange make this very pleasant indeed. Some farmy notes and a bit of seaside saltiness balance out the nose. Smooth, oily and peaty. Some wood influences make it a bit dry, but never too much. Some herbs including aniseed and mint. Also cloves, lemon and vanilla. Not overly complex, but never boring. This is what I would have expected the OB 18yo to be, really. 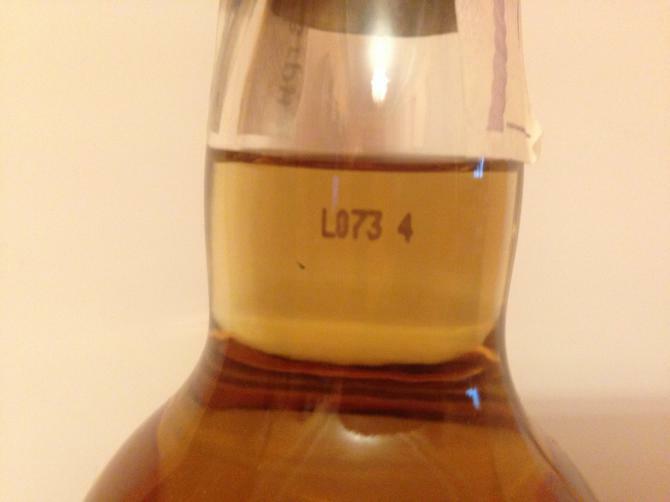 Not super complex, but loyal to the distillery style and to the spirit itself. A very clean Caol Ila, with fresh peat scents of soot and ashes, among a salty sea spray. These are followed by soft vanilla and fresh fruits, such as apples and pears. 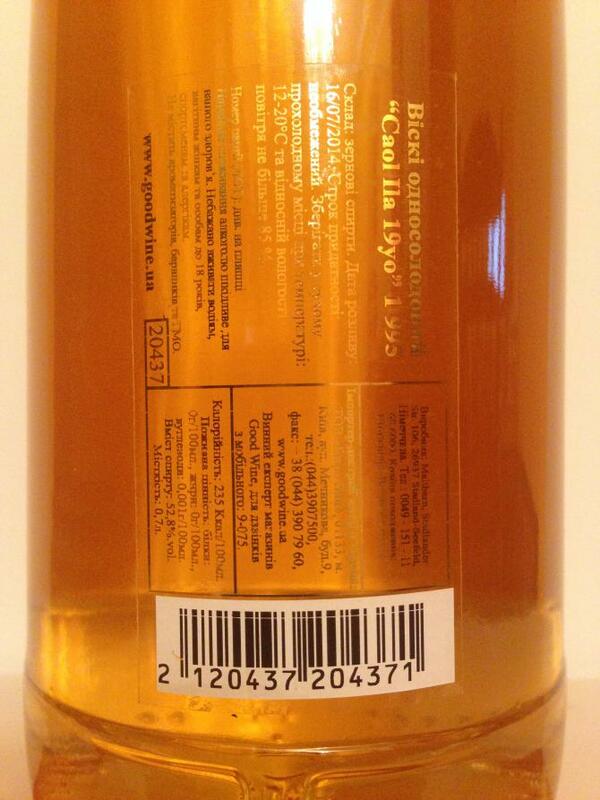 The alcohol is well integrated, making this an oily and full bodied whisky with the softest burn. Well done! Great mouthfeel. The tastes take after the nose, with these soft ashes and light vanilla. Some lemon. Not very complex, but not sharp or monodimentional either. The wood is shy and does not interfere at all. A medium length, rounded and a little sweet and citrucy. The same fresh soots and ashes follow through to the end. This Caol Ila, even if it does not completely meet my desires for this distillery, is very pleasant and lets itself drink freely. Very good quality, balanced. It just lacks, for my taste, complexity and minerality of the undergrowth. Ha! The peat and the smoke do not invade the nostrils, there are also other things: vanilla, green and yellow apple, a little grass cut, dried resin. A nose of Caol Ila as I appreciate them, melted, subtle, and fine. At first, the mouth is below the nose. Frank attack on the tart green apple and vanilla caramel. Ash peat is present too, of course. A mouth more monolithic and less thin than the nose. This mouth calms down after two sips, becoming more affordable and more melted. Average. Ashen smoke rises in the nose. A pinch of white pepper and the yellow apple peel that dies slowly.